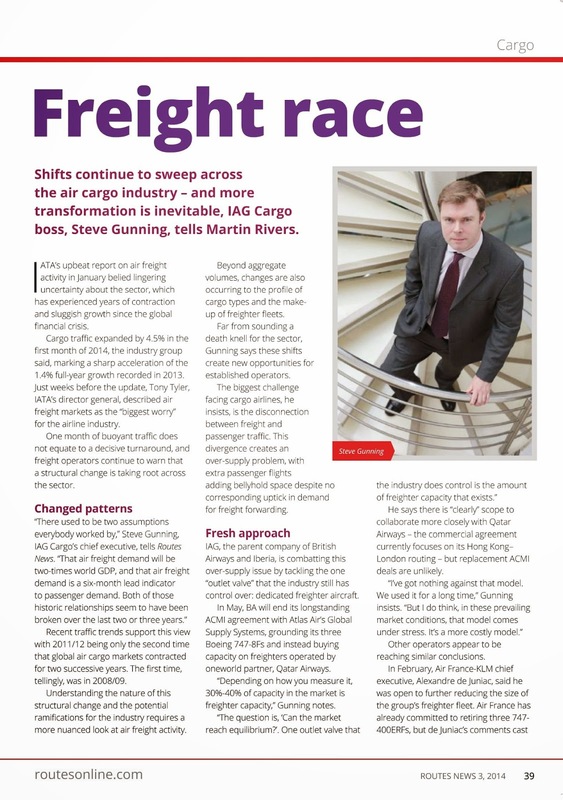 IATA's upbeat report on air freight activity in January belied lingering uncertainty about the sector, which has seen years of contraction and sluggish growth since the global financial crisis. Cargo traffic expanded by 4.5% in the first month of 2014, the industry group said, marking a sharp acceleration of the 1.4% full-year growth recorded in 2013. 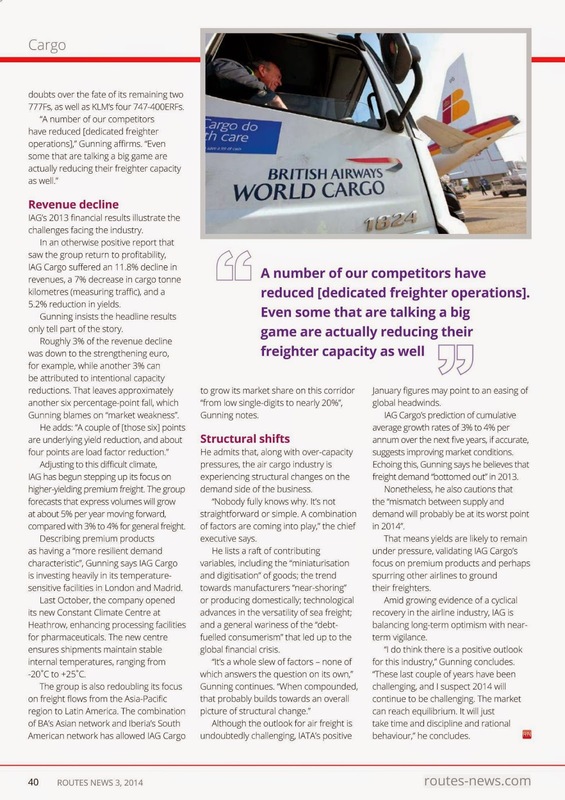 Just weeks before the update, Tony Tyler, IATA's director general, described air freight markets as the "biggest worry" for the airline industry.